Find us in Martech Advisor! Every day, users come across more ads than ever before. However, app developers can provide a pleasing and interactive user experience throughout the entire funnel that will help your ad come out as top of mind. How do you achieve this goal? A good experience, achieved through QA and optimization, is key. There has been an exponential rise in the number of platforms on which advertisers can run ads. Buggy, frustrating ads can be crushing both for your company and users. Your ad is a reflection of your game or app, as well as the first introduction to your company for many users. While multi-step QA processes are critical, the process for each platform isn’t necessarily the same. Individual networks and platforms have unique requirements which impact creative builds, ad optimization, reporting, and analysis. Just as your ads should be tailored for your users, your QA processes should be custom to each platform to deter common errors. Automated and manual QA for each ad is important to test for loading issues, graphical and orientation issues, and, if interactive, CTA interactions and click-through behavior across Android and iOS devices. This means there is no lag time or crashing of your app in order to provide the best user experience possible. These steps will ensure your ads run smoothly across all major ad networks and platforms. Our industry has evolved significantly with ad types that have transitioned from interstitial to video and are now interactive. With that, creative optimization and ad iterations have become far more important. If you have a partner that helps with your ads, ask them about their optimization tactics and processes to help meet your KPIs and goals. Follow the user experience and actions throughout the funnel for a data-driven approach. Knowing how users interact with the experience helps you optimize and build new versions for more impactful, immersive and tailored creative. Optimization experience comes with time. Whether you are doing the work on your own or have a partner, your Optimization Squad needs to step up. Ad optimization tactics can include analyzing interaction rates or optimizing dynamic parameters. Your interaction rates offer a first look into how effective a playable ad is at guiding a subset of potential new users through the playable experience. Dynamic parameters are almost limitless combinations of variables that can be tested for creative optimization. These parameters can include aspects like difficulty, character avatars, CTA images and language, products displayed, quiz question genres, color palettes displayed, interactions to CTA, and playable length. Through the testing and analysis of dynamic parameters within the ad, you can identify the parameters with the strongest conversion rates to create a winning combination and the most compelling ad. Don’t let your ad get lost among the masses. Set it apart by ensuring you cater to the user journey. 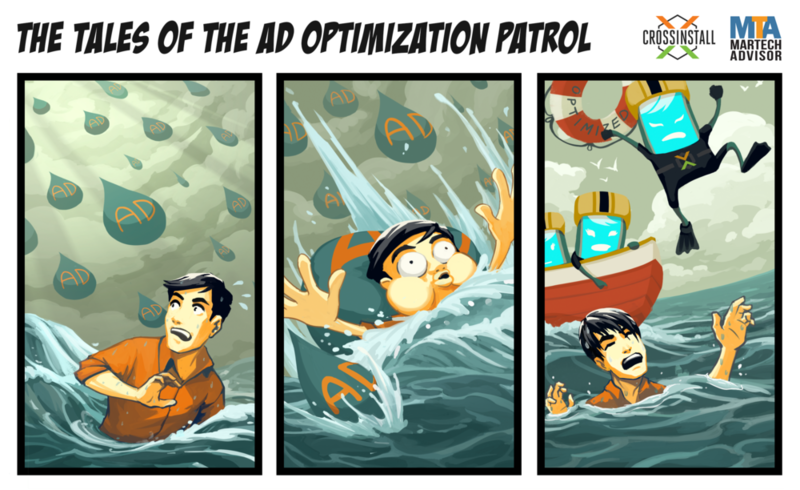 If you are missing QA or ad optimization, you are missing the boat on your ad’s path to success. Like this comic? Check out some more!